A TEENAGE ELF GOES ON A BREATHTAKING QUEST TO FIND THE FIVE STONES AND DISCOVERS THERE IS MUCH MORE TO IT THEN COULD HAVE EVER IMAGINED. A fast paced adventure and mystery to satisfy children, parents, teachers and librarians all over the world. 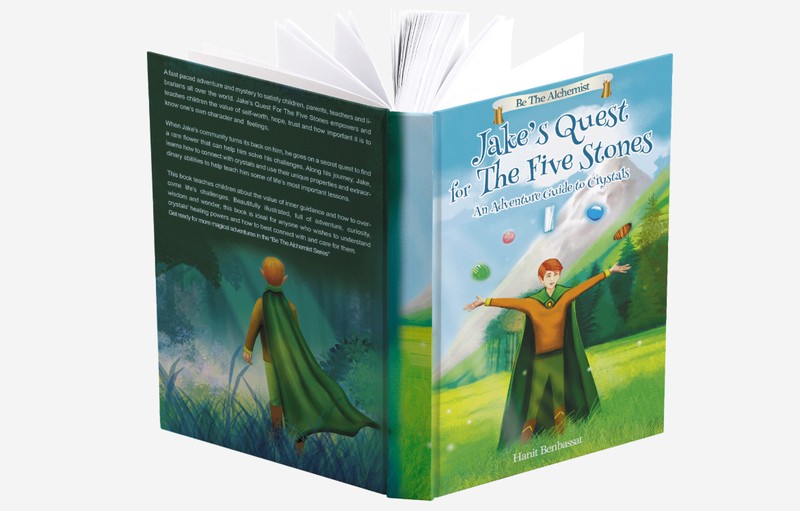 Jake’s Quest For the Five Stones empowers and teaches children the value of self worth, hope, trust and how important it is to know one’s own character and feelings. Jake, a brave teenage elf, knows his world is not a very peaceful, loving place. When he decides not to join the war against the goblins, his community turns its back on hint. Now isolated from his family and friends, Jake is determined to help his community. Knowing he is meant to do more in life, he goes on a secret quest where Jake finds crystals stones that can help him solve his challenges. Along his journey, Jake, learns how to connect with the healing crystals and use their unique properties and extraordinary abilities to help teach him some of life’s most important lessons. At times the journey is tough and Jake struggles to remain on his quest, but he realizes how exciting and inspiring his life might actually be if he applies each life lesson. this book teaches children about the value of inner guidance and how to overcome life’s challenges. 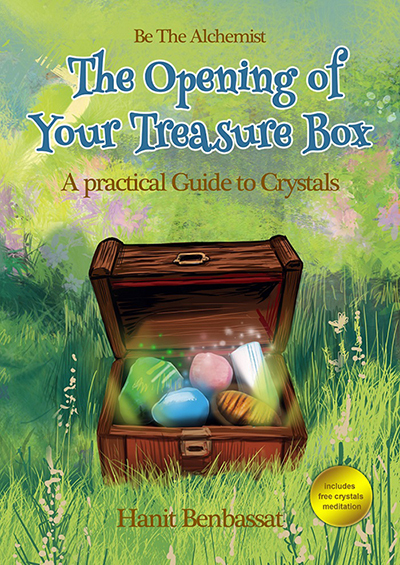 Beautifully illustrated, full of adventure, curiosity, wisdom and wonder, this book is ideal for anyone who wishes to understand crystals’ healing powers and how to best connect with and care for than. Get ready for more magical adventures in the “Be I he Alchemist Series”. Since she was a little girl, Hanit Benbassat has loved crystals.She’s came to understand the powerful and magical influences within us that can heal our sorrows. As a mentor, instructor, and workshop facilitator of emotional healing and personal growth, she has helped many others learn to heal the roots of fear and inner pain, leading them to enjoy life naturally. Hanit was a shy, introverted child until the age of fifteen when she learned to use her inner powers of hope and self-love to become the person she wanted to be. Knowing that it is important to empower children to tune into their heart, Hanit set out to help little ones fulfill their greatest potential. With this book, It is her hope that children will discover the power of believing in and loving themselves, and learn to connect with crystals. Hanit was born in Israel and now lives in Orlando, Florida, with her three brilliant children and entrepreneur husband. She is a good hiker, amazing cook, and a great gardener. In her spare time, she also enjoys reading, exercising, hiking, visiting beautiful places around the world, meditating, connecting with crystals, and spending time with friends and family.